Beyond Marathon Ltd events are organised by husband and wife team, Richard and Wendy Weremiuk. Richard is an experienced race director. He is also an experienced ultra distance runner, having taken part in countless UK races, participated in mountain marathons as well as races Worldwide, including many 250km multi-stage events, such as the Atacama Crossing, Kalahari Augrabies Extreme Marathon, The Marathon des Sables, RacingThePlanet Nepal, and La Trans Aq. After injury forced his retirement from ultra running 5 years ago, Richard decided to take the best of his race experiences from all over the World and organise his own events under his Beyond Marathon and Race Drone brands. If you haven’t yet participated in a Beyond Marathon event, ask around on social media about for opinions on the organisation. We pride ourselves on our reputation. Wendy is an ultra distance runner. She has completed 50 and 100 mile events, and competed in multi-day mountain marathons. 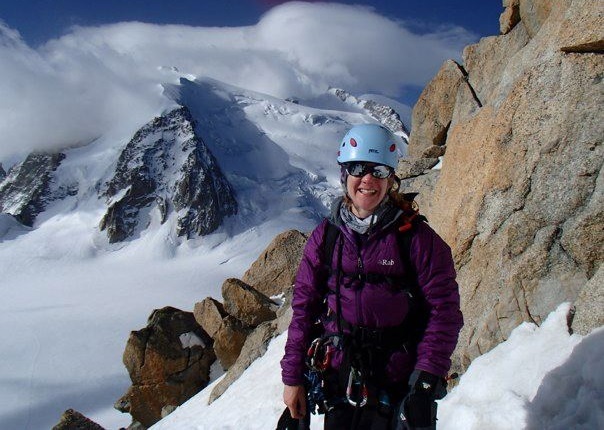 Wendy has over 20 years of experience in the outdoors and shares her navigational experience and enthusiasm, through teaching and assessing on the Duke of Edinburgh award. She also enjoys climbing and mountaineering, having climbed the highest peaks in Africa (Kilimanjaro), France (Mont Blanc), Switzerland (Monta Rosa), Germany (Zugspitze), and various other Alpine peaks. Wendy has directed over 20 successful events with Richard to date. Wendy is a doctor in psychology and a registered coaching psychologist specialising in weight management and health, she has recently co-authored a runners guide to sports psychology and nutrition.